I like the St James’ Court. 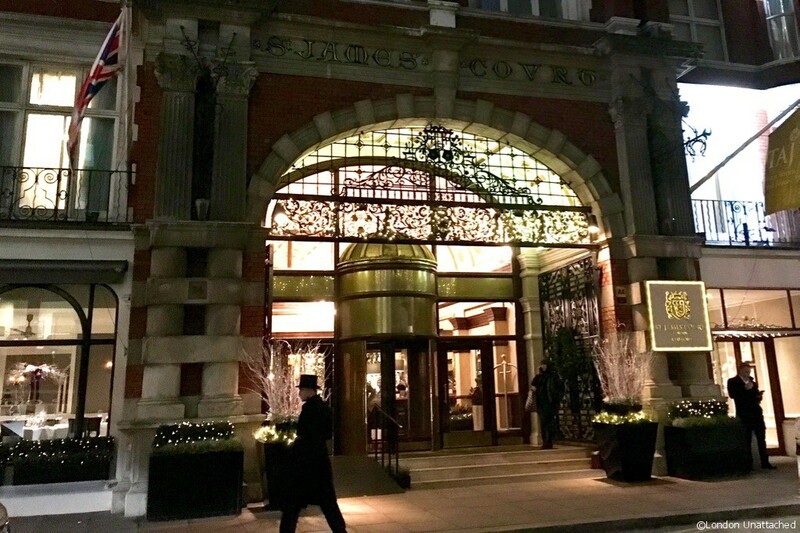 A Taj group hotel it exudes old-fashioned luxury; they have a proper pianist playing and there is none of this nonsense where stick-thin young people swan around with ipads looking confused. 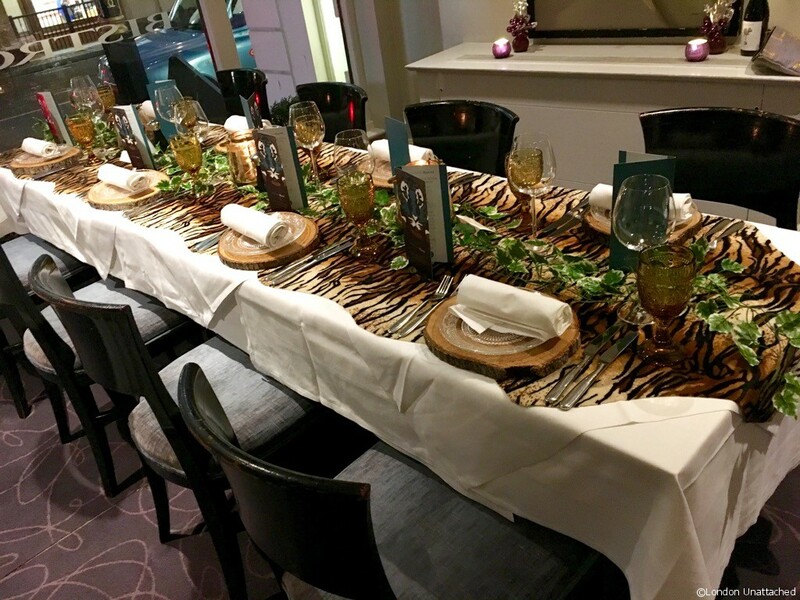 I was a bit uncertain about what to expect when invited to review the St James’ Court “Jungle Book dining experience”. The hotel describes it as a “fusion of Indian and Christmas spices inspired by traditional cuisines from India, featuring an array of quirky dishes inspired by The Jungle Book’s most revered characters.” However, with Mowgli’s Vegetable Biryani and Shere Khan’s lamb Rogan Josh on the menu it seemed like an unmissable opportunity to relive the magic of Rudyard Kipling’s classic in a gastronomic context. 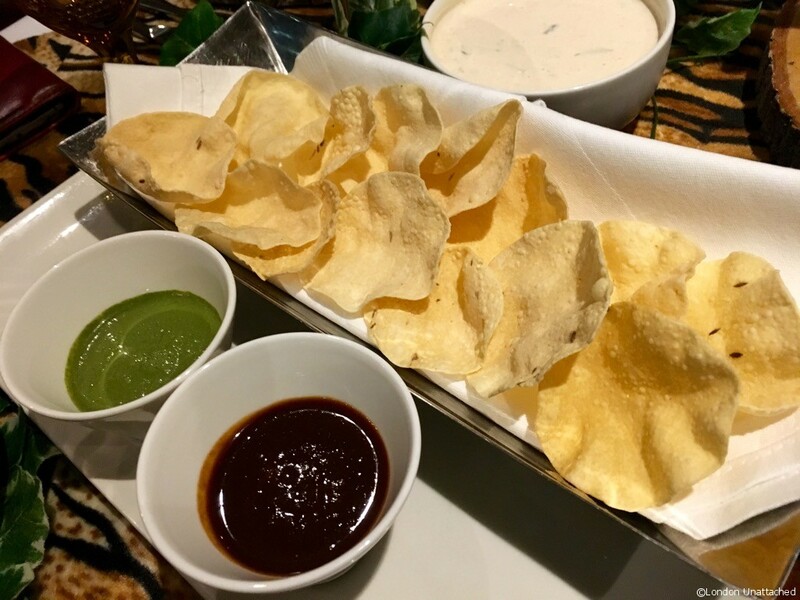 Papads and dips were up first, coriander and tamarind all freshly made and perfect to get our gastric juices going…. Rama’s plate came with a trio of starters-Pappu Ka’s samosa chaat was a crunchy and delicious blend of the street food favourites. Hati’s carrot and coconut shot was smooth and warming with a hint of sweetness. Kaa’s tandoori paneer had a welcome smoky bite to it. For the mains, Shere Khan’s lamb rogan josh was hot, tender and aromatic – a bit like me on a good day. 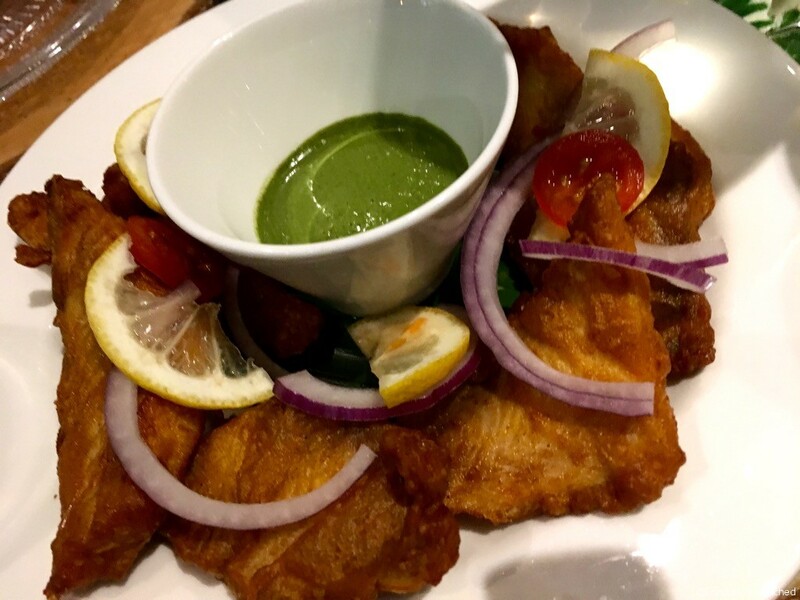 Baloo’s Machli Tawa fry (pictured) was a plate of deliciously spiced fish. 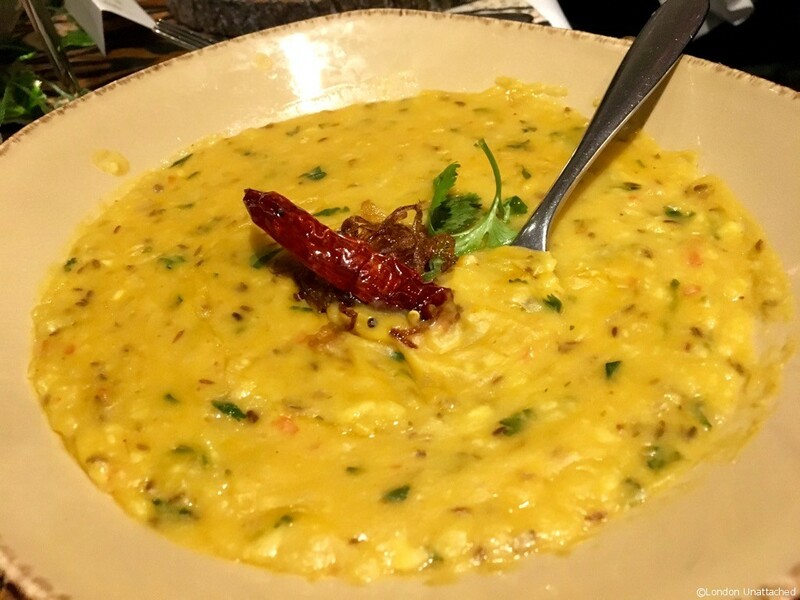 Bandar-log’s Daal Tadka was creamy and deliciously moreish – we were fighting over it! 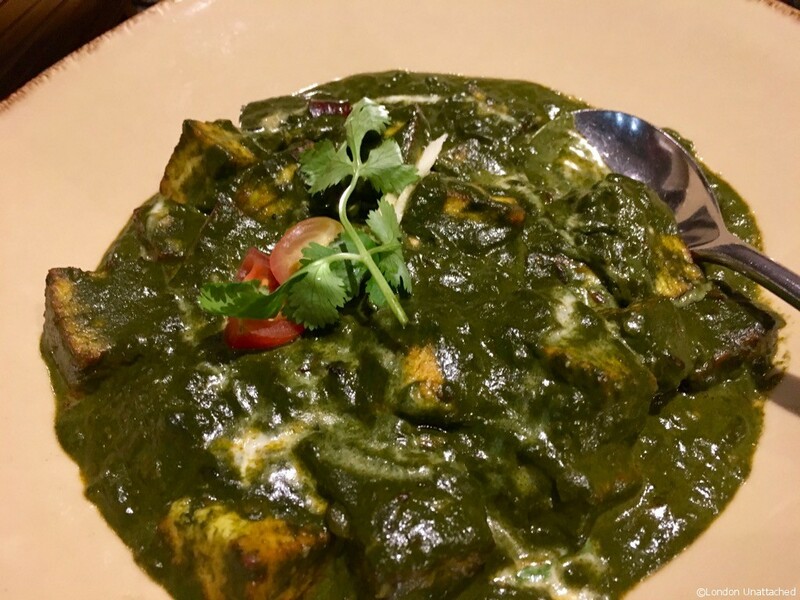 Rama’s palak paneer had a mild vegetal quality that blended well with the creaminess of the paneer. 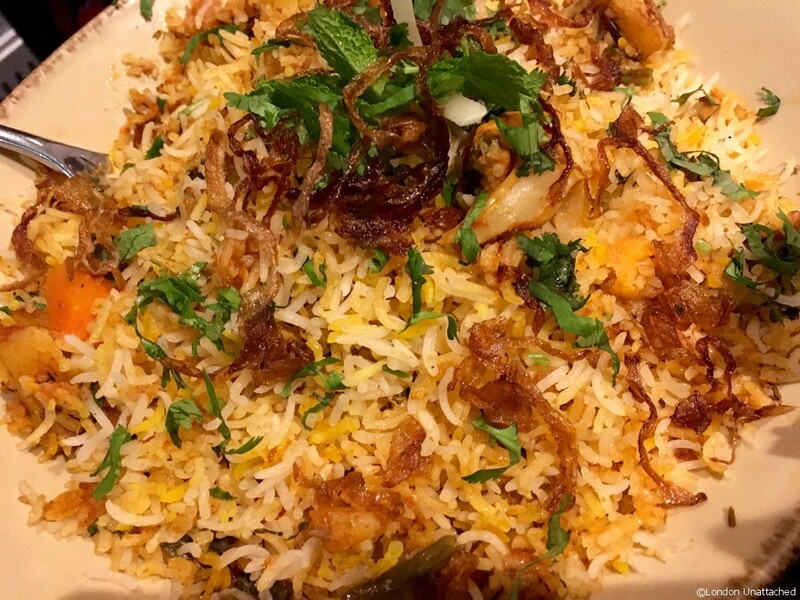 Mowgli’s vegetable biryani was light and fluffy tempered by the crisp sweetness of the onions. 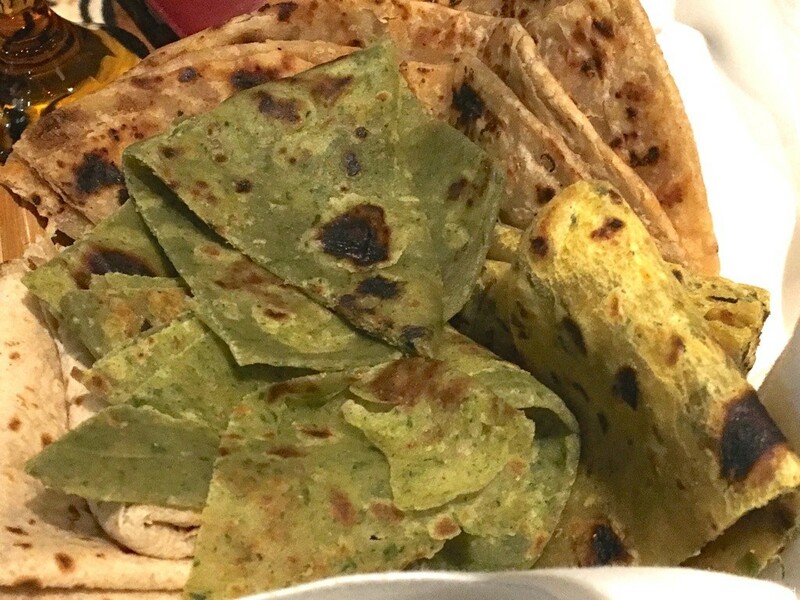 A selection of Indian bread came hot and steaming from the kitchen. 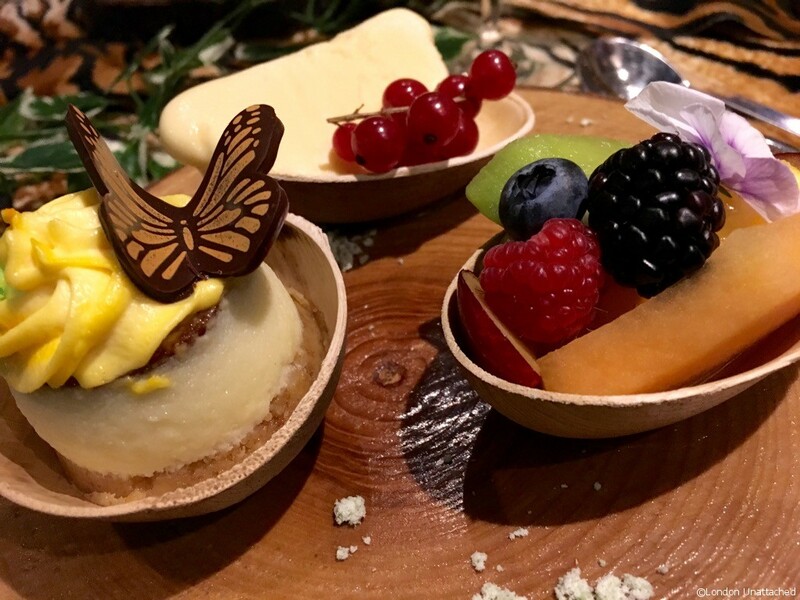 The Bandar log’s plate of desserts was stylishly presented-Gulab Jamun cheesecake, mango kulfi and sliced fresh fruit were all excellent. Whilst we finished our fantastic Jungle Book feast with Tea/coffee and Petit fours we had a look at the Taj’s special edition of The Jungle Book available exclusively at the Taj for £12, celebrating the indomitable spirit of the tiger in partnership with the Born Free Foundation, helping raise awareness about threatened species worldwide. 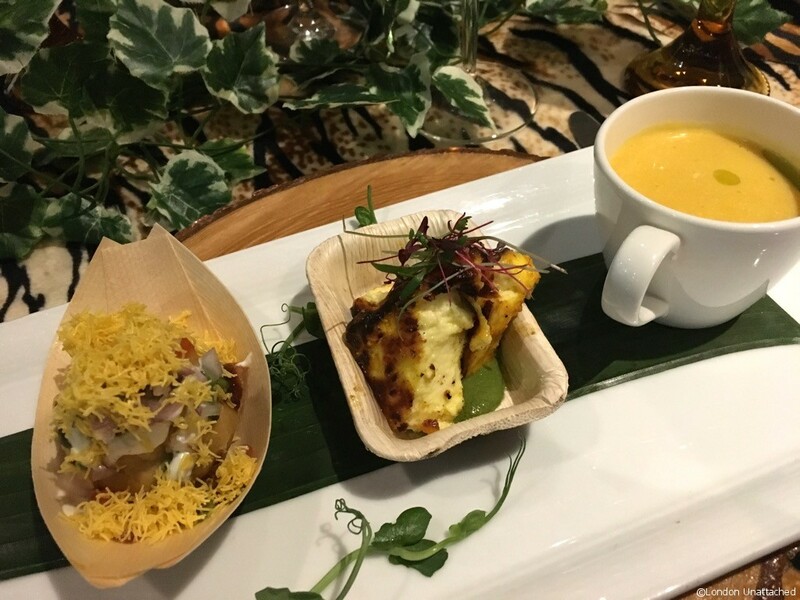 Proceeds from the sale of the books and menus will go towards Born Free’s tiger conservation work in India, home to more than half of the world’s 3,890 wild tigers. Born Free and Kids@Taj colouring books, endangered species’ adoption packs and cuddly toys are also available for sale, supporting their endeavour to keep wildlife in the wild.